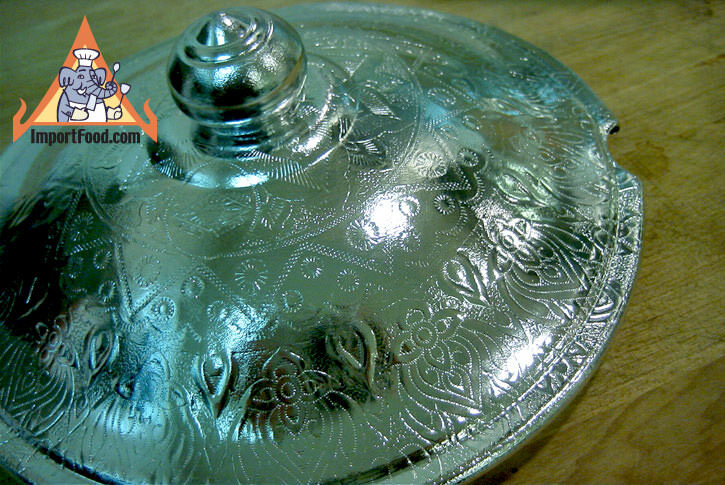 A fancy aluminum rice bowl with a distinctive Thai pattern stamped into the bowl and lid. 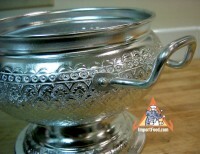 The shape is a traditional Thai-style. Convenient handles are solidly riveted to the bowl which makes a nice presentation. 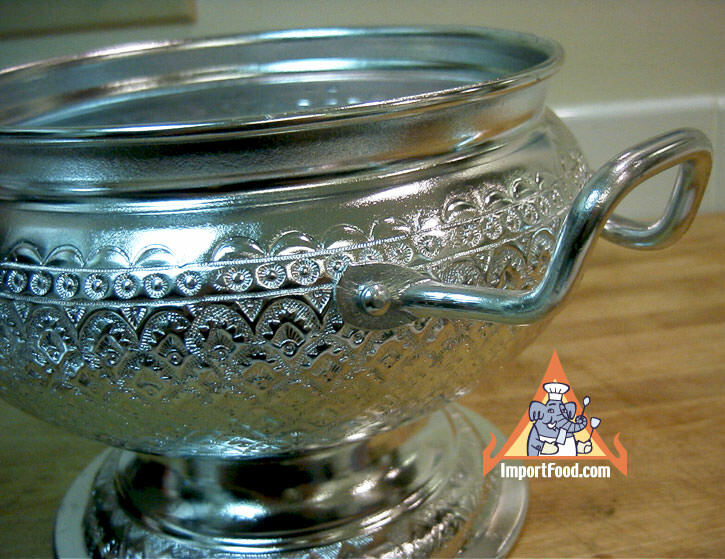 This is one of our more popular Thai cookware items, probably because of the attractive appearance, and it would be something difficult to find in any store outside of Thailand. It's relatively light-weight, so it's prone to small dents if not handled with care, but we've had one for years with only minor wear showing on the lid. 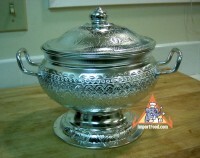 8.5" height (to the top of the lid), 8" width, 11 cup capacity. Product of Thailand.